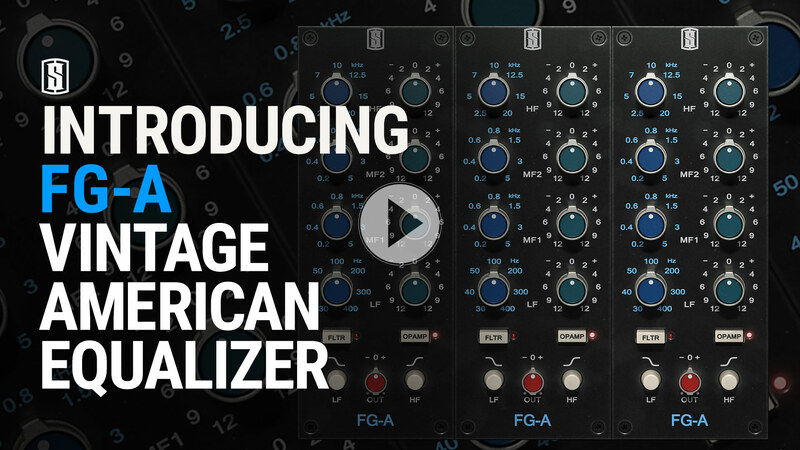 The FG-A Vintage American Equalizer recreates the exact tone of one of the industry’s most coveted discrete EQs. 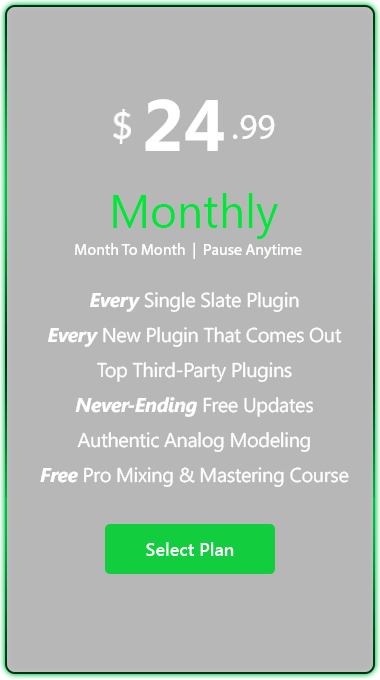 With its classic proportional q curves and fat saturation, it’s sure to become one of your go-to EQs for any track that needs sweetening. 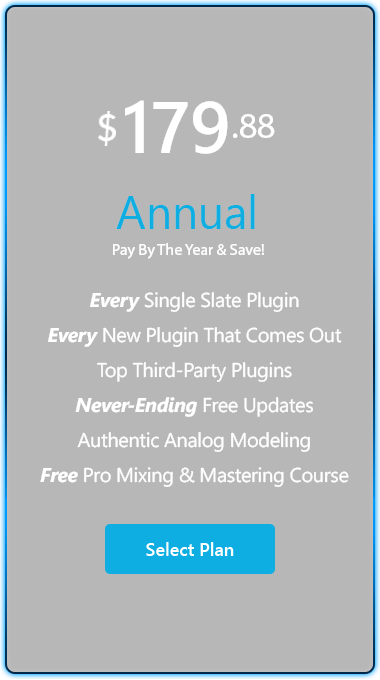 The FG-A is modeled after a fixed frequency and gain three band EQ. 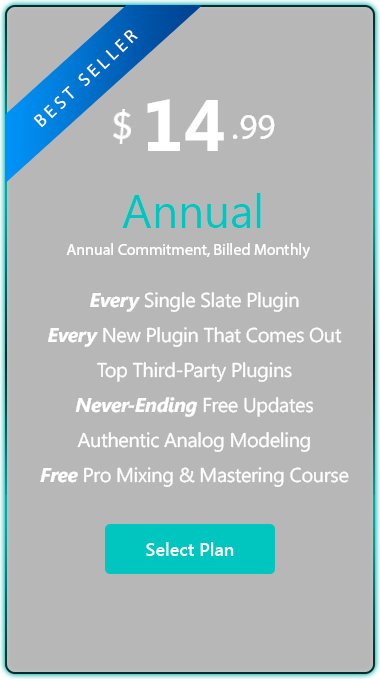 But we decided to do you the favor of making it a four band EQ by doubling up the mid band. 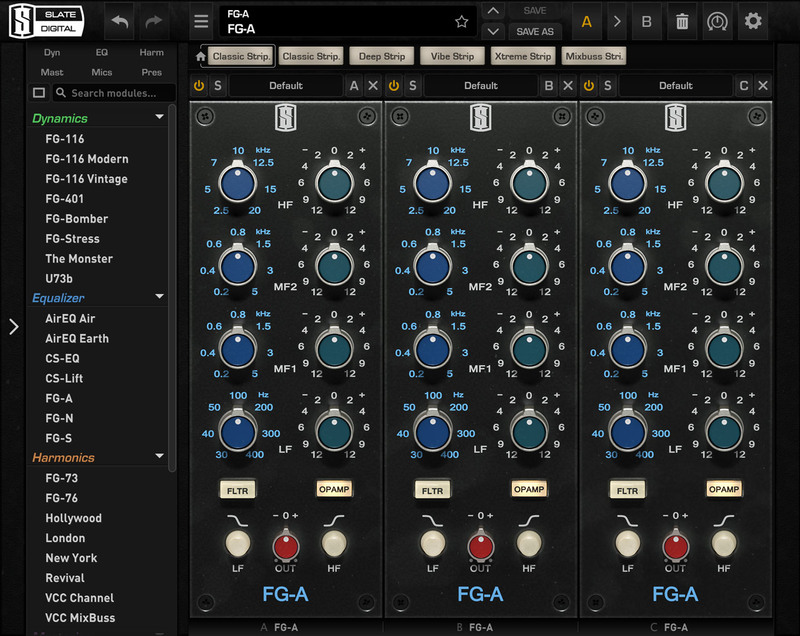 We also include the option to make the EQ continuous by clicking a modifier key while adjusting gain or frequency. This gives you an unparalleled level of control. One of the most famous aspects of this EQ is the color and vibe imparted from it’s famous discrete opamp and transformers. We spent nearly a year recreating the exact characteristics of these components resulting in a beautiful, fat, warm slightly saturated tone that sounds incredible. You can bypass the nonlinear behavior to make the EQ more surgical and clean.